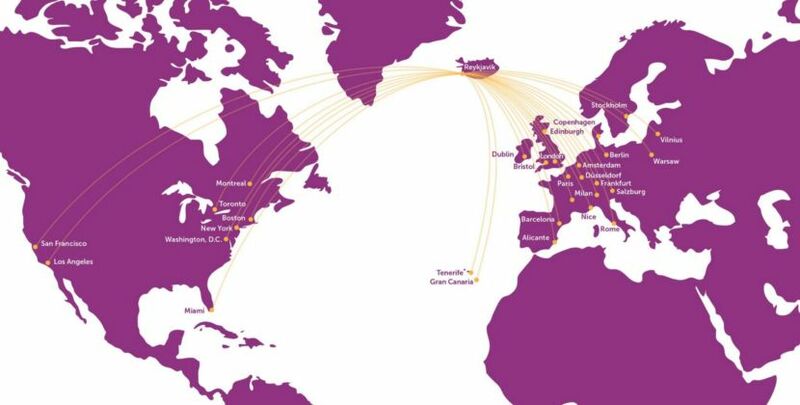 Low-cost carrier WOW Air has been steadily expanding its route network between various cities in North America and Iceland. With its low fares — starting at $99 one-way — it’s no surprise that the airline has become a popular option for US-based passengers looking to travel to Reykjavik and beyond. WOW has just announced that it’ll begin service between Pittsburgh (PIT) and Reykjavik (KEF), beginning June 16, 2017. The new route between PIT and KEF will be operated 4x weekly by one of the carrier’s A321 aircraft. According to the Pittsburgh Post-Gazette, the Icelandic airline is getting some pretty valuable perks in return, such as two years of monetary incentives, marketing support and a waiver of landing fees. While one might not think Pittsburgh would be at the top of the list of cities for new long-haul routes from an international carrier, the incentives proved to be enough to garner WOW’s business. WOW Air will soon add Pittsburgh (PIT) to its route network. WOW Air is already offering one-way fares between the two cities starting at $99, or $149 one-way for connecting to other European cities. Even if Pittsburgh-based flyers aren’t planning on a trip to Iceland, a stopover in Reykjavik could be a great option before continuing on to other parts of Europe. Keep in mind, however, that WOW Air is a low-cost carrier that charges for things that you might be used to getting for free on other carriers, such as seat assignments, meals, checked baggage and more. Overall, this is a nice addition for Pittsburgh, which doesn’t have many options when it comes to transatlantic routes. The Steel City joins several other North American cities that WOW Air currently or will soon begin to operate to, including Newark, Miami, Boston, Baltimore, Los Angeles, San Francisco, Montreal and Toronto. Featured image of Reykjavik, Iceland courtesy of Getty Images.